If you live in Berks County, chances are you’ve indulged in a Sweet Street dessert at least once. Sweet Street’s cheesecakes, pies, cakes and other tasty treats are well-known around here, and with distribution in more than 60 countries, it’s safe to say that they’re known worldwide. But what is less well known is Cafe Sweet Street. 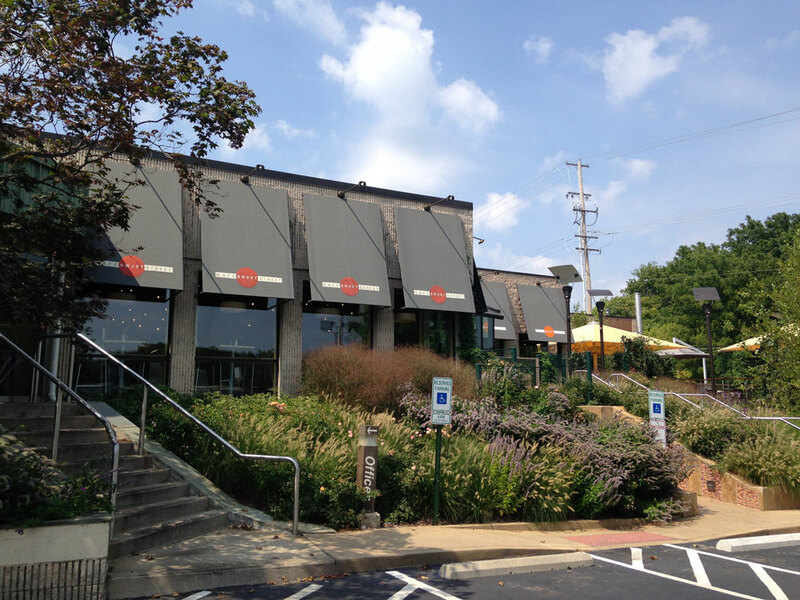 The Cafe is attached to Sweet Street’s corporate office building on Hiesters Lane. While the parent company is all about the sweets, the cafe is more in-tune with savory foods, offering a range of hearty options for breakfast and lunch. That doesn’t mean it escapes its roots altogether. 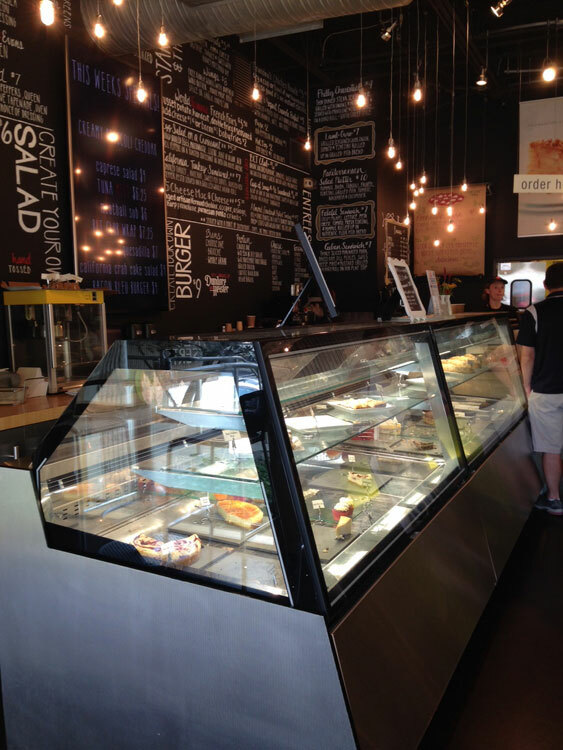 Just inside the front door, you are bombarded with the desserts that have made Sweet Street famous. 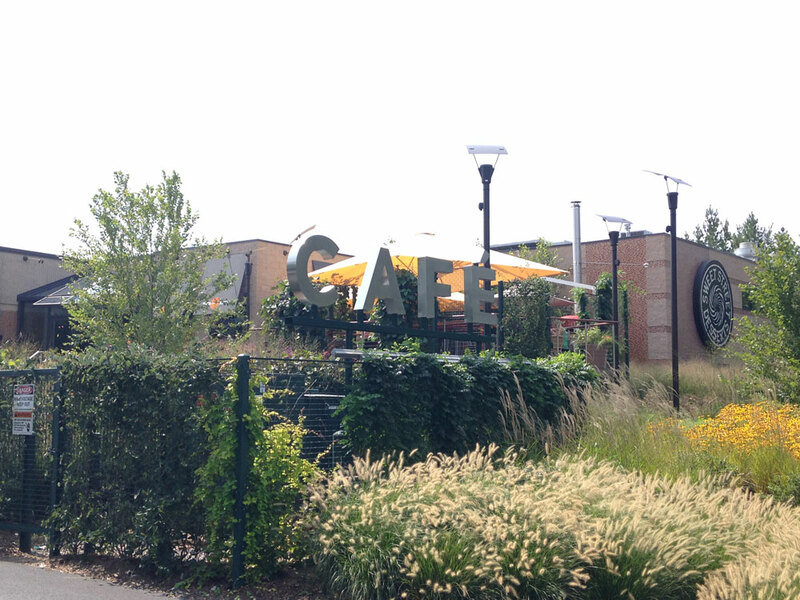 In addition to serving fresh-prepared meals, the cafe serves as a retail store, with tables full of temptations. We saw dozens of customers come through the door while we were there, and the vast majority of them were passing through simply for the desserts. But we were there for something more, and when it comes to lunch, there are plenty of options to choose from. The menu is scrolled across the entire wall, only broken up by a tall TV screen that displays the weekly specials. The wall was filled with burgers, sandwiches and salads, each one sounding more tempting than the next. It was hard to know where to begin until we saw a sign on the counter telling of the in-house flavored sodas. The first decision was made. While Julie grabbed a high-top table by the window, I watched as our cashier became a barista of sorts. 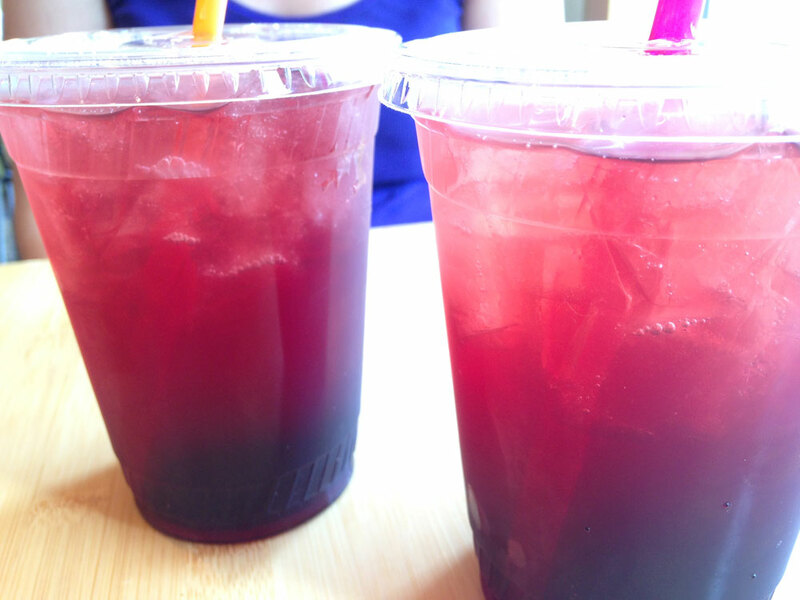 Our drinks were not pre-made but mixed on the spot. After scooping a full cup (16 oz.) of ice, she poured in the flavored syrup. Then she sprayed in the unflavored soda and stirred it with our straws. I was a little put off when I saw the cups full of ice, especially after paying $3.00 ea. for the sodas, but I was actually glad to have it once I started drinking. The sodas were a little too syrupy at first, but once the ice began to melt, it helped tone it down. By the end, the flavors were just right and only a few ice cubes were left sitting at the bottom of my cup. After a short wait, my food was the first to arrive. 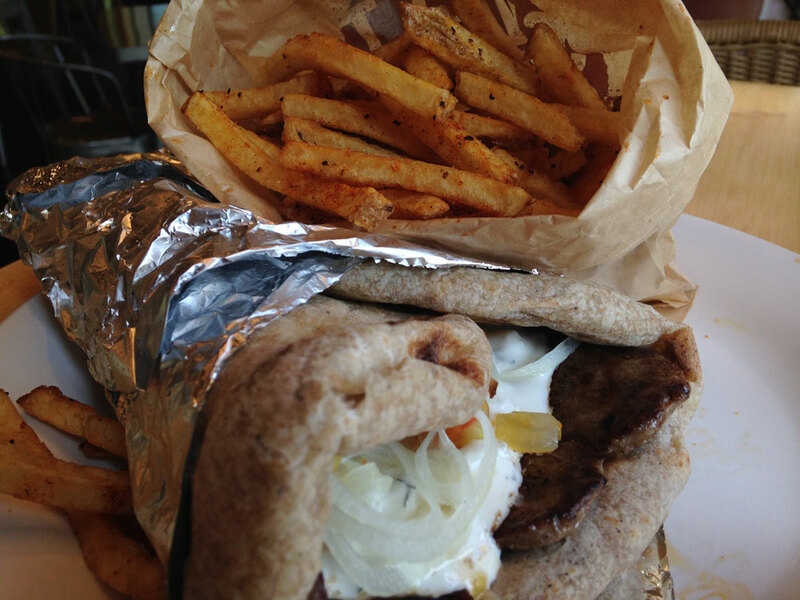 I had decided on the lamb gyro with a side of fries. It was something completely different for me—I had never so much as thought about eating a gyro before—but yet it seemed like the right thing to order on this day. 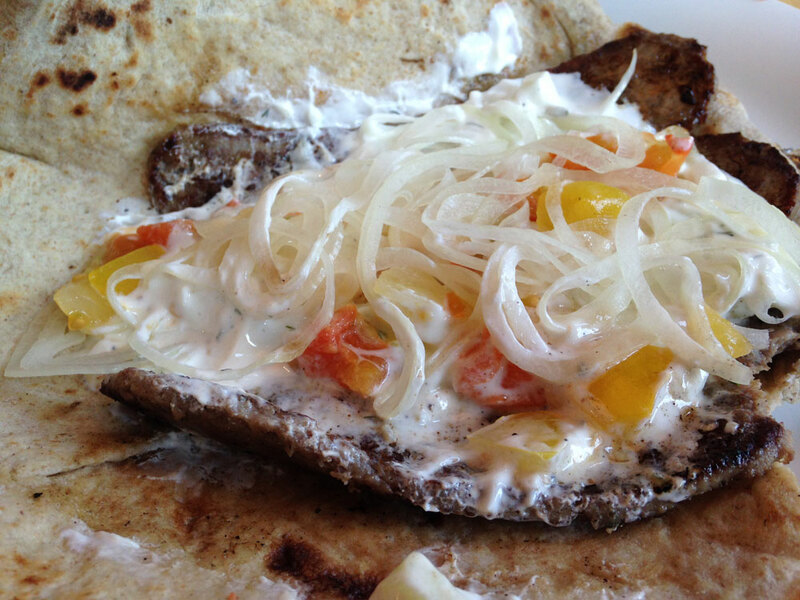 The pita was packed with grilled lamb, tomatoes, and a mound of onions. And the whole thing was oozing with tzatziki, the white Greek sauce that I mistakenly took to be melted cheese when I first saw it. Instead I found that tzatziki is actually a yogurt-based sauce that is quite refreshing, especially given the hints of mint that work so well with lamb. It was a messy meal for sure, but one that I happily devoured. The fries were much more familiar, but Cafe Sweet Street put a unique twist on it. The menu touted them as world famous, hand-cut, double-fried and seasoned to perfection. While I don’t know about “world famous” (I had never heard about them), they were certainly seasoned to perfection and quite addicting. As much as I loved eating them, I was still happy that I only got a “baby” order because the regular order is a full fryer basket. 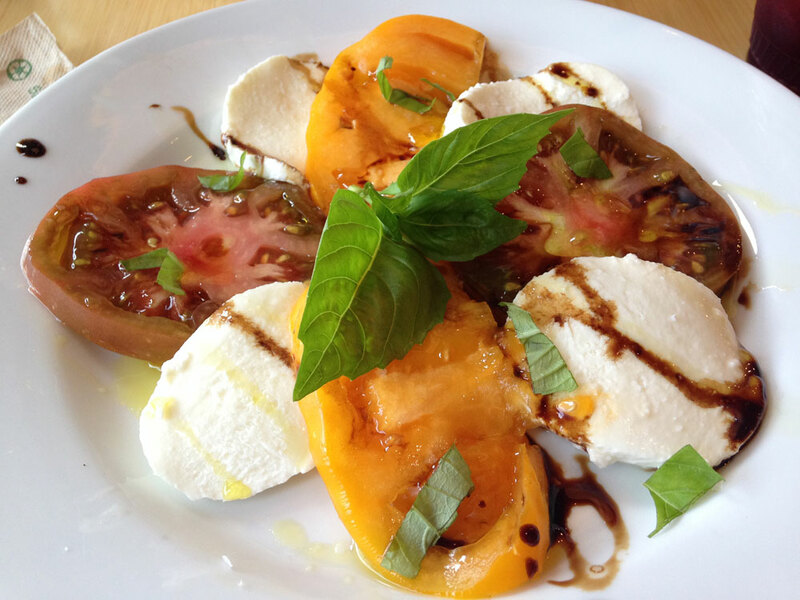 When it arrived, it looked beautiful: red and yellow heirloom tomatoes, fresh mozzarella slices and a balsamic drip. There’s no denying that it was delicious, but we were both expecting something a little bit more for the money ($9.00). The one saving grace about having such a light lunch was that she had more than enough room for dessert. Ordering dessert was another cause for confusion as there was a dessert counter (sparsley filled) with individual servings plus all of the aforementioned desserts at the entrance: the whole pies, cakes and sheets. In between is the cash register which had a list of the week’s featured desserts. As it turns out, the featured desserts are the latter, not the ones meant for consumption at the table (though it would have been quite entertaining to watch us open an 8-inch square box of the salted caramel stack and dig in). Once we got this figured out, we ordered a turtle Bundt cake to share. All previous grievances disappeared with the first bite. 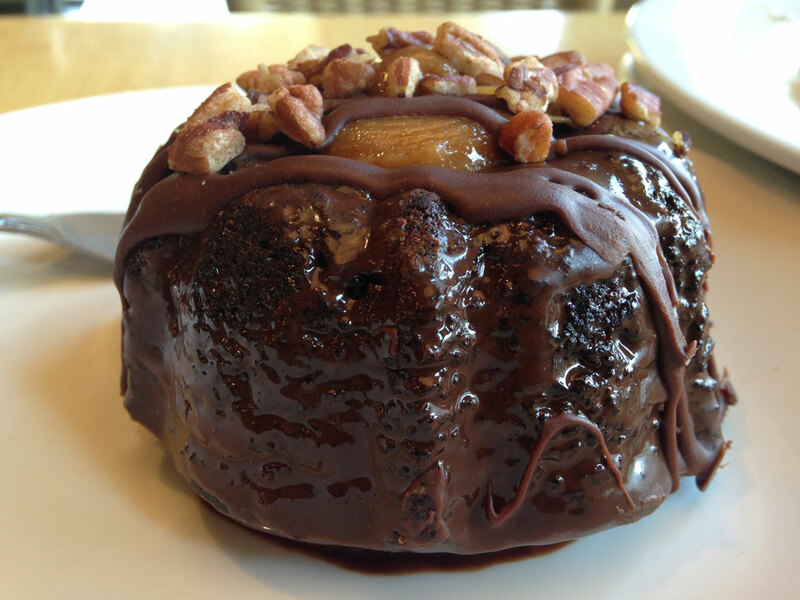 The cake was topped with pecans and caramel and drizzled with chocolate sauce. The molten center was rich and gooey. In a word, it was divine. Cafe Sweet Street, like the desserts they serve, is an indulgence. Our lunch was more than $30.00, certainly not a bargain by Berks County standards. But there’s no denying the quality of the cafe, the same quality that goes into every goodie that rolls off the assembly line next door. Besides, it’s good to indulge sometimes.